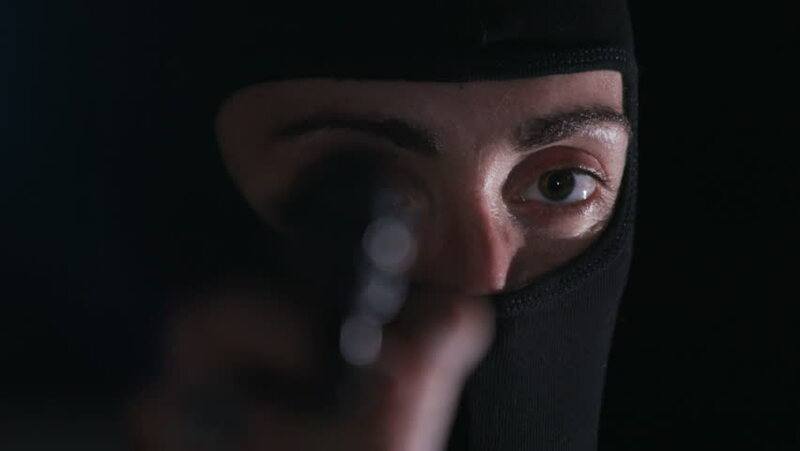 Face of dangerous criminal with big eyes wearing black clothes and balaclava. Portrait of intrude holding gun. Close-up. Crime. Darkness.